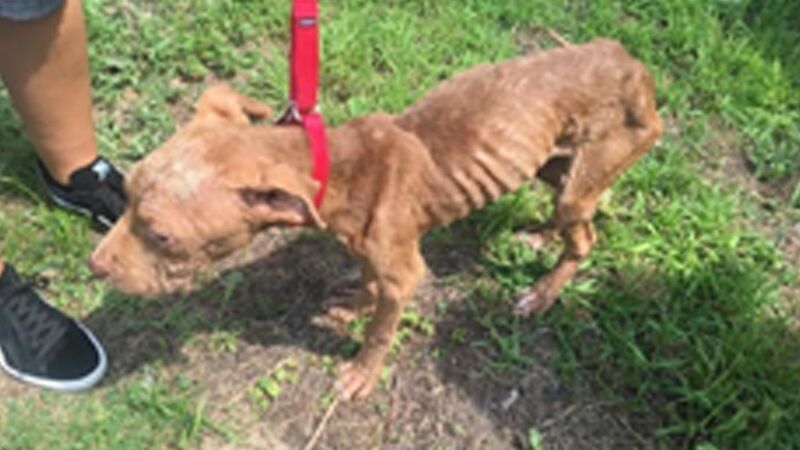 PATERSON, New Jersey (WABC) -- Animal control workers came to the rescue of an emaciated dog in New Jersey, saving him from what they said would be certain death. 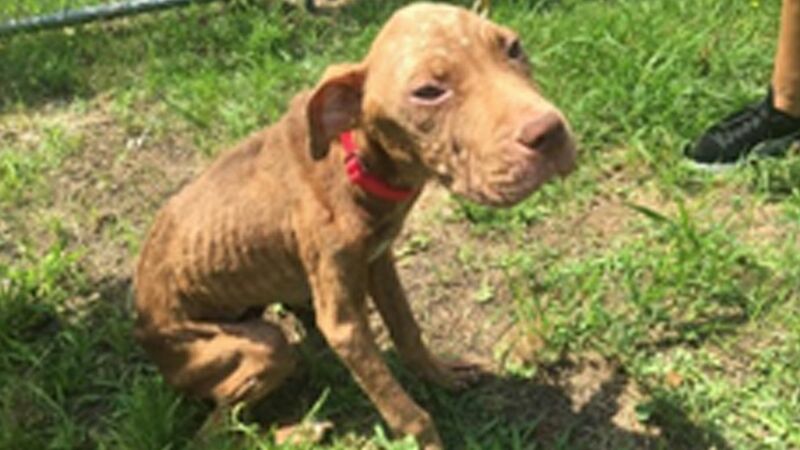 Paterson animal control responded to complaints from neighbors of an emaciated puppy with strong odor being kept outdoors in the heat with no food or water. According to the Ramapo Bergen Animal Refuge, the puppy collapsed from the exertion and excitement of greeting a visitor as they approached, having been alone for days. He was brought into the home by an officer and drank all the water out of the toilet. The home's owners admitted that he hadn't eaten in days, said animal control officers. The dog had an extremely strong odor from a skin infection and the feces and urine he was living in. Rescuers rushed the puppy, who they named Pax, to Oradell Animal Hospital, where he will be hospitalized and on IV fluids and antibiotics with 24-hour care until he is stabilized. Food will be slowly reintroduced to his body. "The puppy's tail never stopped wagging - he was so excited to finally have human contact and kind touch," said the Ramapo Bergen Animal Refuge. "The rescuers took him into their arms in a big fluffy towel because he was so frail. The towel seemed to weigh more than his tiny body. This happy, dying puppy quickly found his name - Pax - meaning peace because he had finally found his peace after being kept alone with no food or water." Rescuers said they were in tears as the dog's tail wagged furiously from happiness.